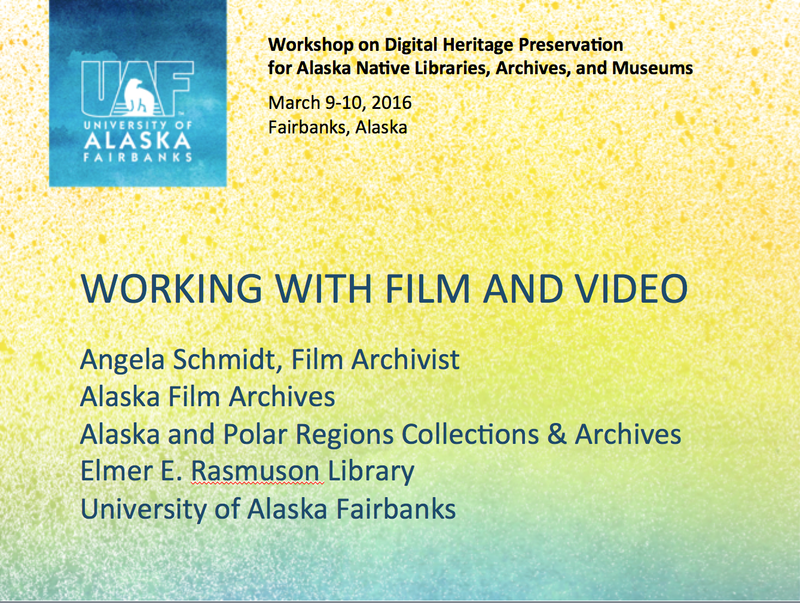 In this presentation, Angela Schmidt, film archivist at the Alaska Film Archives at University of Alaska, Fairbanks, discusses the history, mission, and collection of the Archives. She also provides some best practices and guidelines for the preservation and digitization of archival film, including topics such as collection policies, gift certificates, metadata, accessioning and numbering the items in your collection, creating catalog records, and storage and environmental control. This presentation was given at the SHN sponsored ANLA Workshop, held in University of Alaska Fairbanks, on March 9-10, 2016.